This month we will be taking about blog design. As a blogger I know how important it is to have a clean , professional layout after all your blog layout is like a shop window if it is not presented well then people will not go in and its the same with your blog. If it looks crap no one will want to explore your blog or return to it. 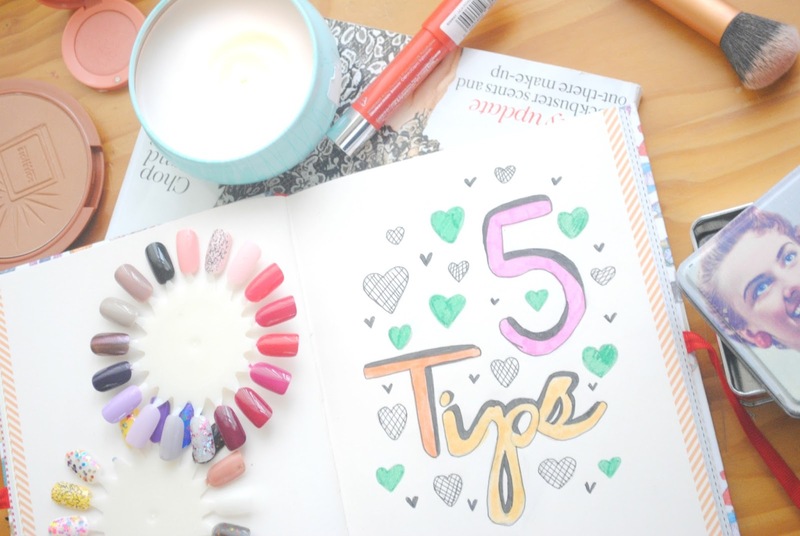 I recently came across a new blog The Beauty Revolution and my instant thought was how lovely the blog design was so I contacted Sarah and she has kindly given her five tips regarding blog design. These tips are brilliant and I have taken a lot of advice from them. Colour Scheme – For me, colour scheme is one of the most important (and most difficult!) decisions that you need to make when designing your blog. Before you’ve decided on a colour scheme, you can’t really start designing your blog at all! You can use as many colours as you like, as long as they all look good and work well together, but as a general guideline, I would recommend choosing between 2-3 colours. Not only will this make it easier for you to stick to your colour scheme throughout your whole design, but I also feel that using only a few colours gives your blog a clean, elegant feel. However, if you feel that you want to use more than 3 colours, go for it! Just make sure that all of your colours go well together (for example, make sure that they are all light colours, or pastel colours) and be careful to coordinate where you’re using your different colours (don’t overuse one and forget about another halfway through!). Headers - Your header is another super important aspect of your blog design. You want your header to be striking so that it catches the reader’s attention! First of all, you need to decide on the size of your header – you don’t want it to be so big that it dominates the page, but at the same time, you want it to be big enough to read easily. Try to keep your header design quite simple – this doesn’t mean that it should be boring, or lacking imagination, just that it should be direct and to the point! Personally, I think that the most effective headers are usually black and white, with just a pop of colour, however, don’t be afraid to incorporate the colours you have chosen for your colour scheme into your header – coloured headers can be just as effective ! Just make sure to spend some time trying out your colours (or images!) together to work out what looks best. Backgrounds and Buttons – Okay, I’ll start with backgrounds. When you’re choosing your background colour (or image, if that’s what you fancy! ), make sure that your font will still be visible and easy to read against the background that you choose. For instance, don’t use a dark coloured font on a black background – it’ll be almost impossible to read! Designing your blog buttons (such as twitter and Facebook buttons) is pretty straight forward. Just make sure that they are big enough to catch your reader’s attention (but not so big that they dominate your page! ), that they are a colour and shape that work well with the rest of your design, and that they are strategically placed on your blog – voila! (Oh, just a quick little extra – if you don’t have the time or skill to design your own buttons, there are plenty of pre-existing buttons online. Just type ‘social media buttons’ into Google images and take your pick!). Don’t be afraid of HTML! – Don’t be put off of designing your own blog by the whole concept of HTML – it’s not as scary as it looks! I was scared to play around with my blog’s HTML in the beginning because I was worried that I might do something wrong and mess up my blog – but don’t panic! It’s super simple to save a copy of your blog’s current HTML template and revert to that if anything goes wrong! Google is your best friend – Literally. Everything that I know about designing my own blog, I learned from tutorials that I found on Google. Want to change an aspect of your blog, but you’re not sure how to? Simply type what you want to do into Google, and before you know it, you’ll have hundreds of tutorials (many of which have been written other bloggers) at your fingertips! All you need is a little patience and you’ll be on your way to a beautiful blog in no time! Do you have any blog design tips ? You should also add Consistency in your tips. Like when you post photos, make the width consistent because irregular width looks tacky.